There’s no question that the fashion industry is one of the biggest lucrative sectors dominating global commerce today. This multi-billion dollar industry is home to some of the world’s biggest retail brands that either cater to mainstream consumers or to high net worth clients whose preferences lean towards the luxury goods market. But for every H&M or Chanel out in the business of fashion retail, there is always one outlier who dares to defy all conventions, and that brand is none other than Comme des Garçons. 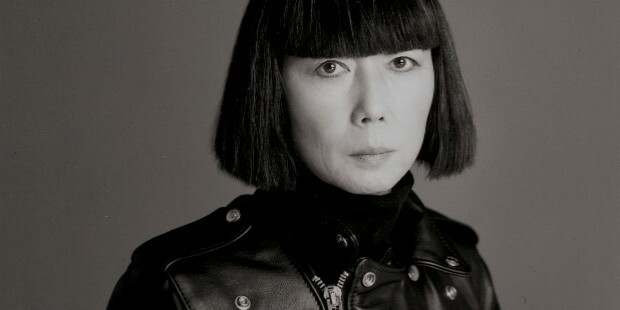 Although the moniker may sound French, the brand is actually a Japanese fashion label founded by designer Rei Kawakubo (pictured below). Comme des Garçons (translated into English as “like the boys” and often abbreviated to CDG) has made a name for itself as a retail brand that embodies the philosophies of an avant-garde lifestyle and encouraging curious consumers to step out of their sartorial comfort zones. At once anti-establishment and commercial-friendly, CDG perfectly exists in the liminal spaces between fashion, art, and commerce. 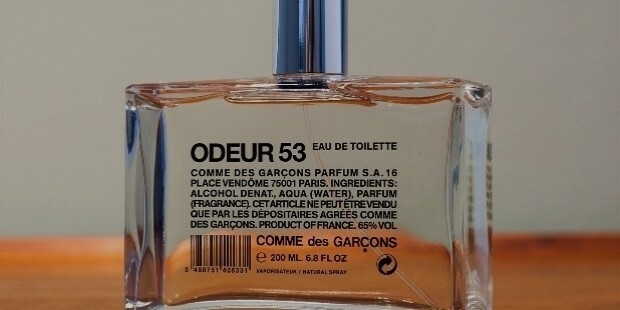 With eccentric and highly covetable product lines encompassing a full range of apparel, accessories, and fragrances, CDG is one of the genuine rarities of global fashion retail that has managed to thrive without the interference of corporate bigwigs from luxury groups. The company has remained fully private and independent under the leadership of Kawakubo and her husband Adrian Joffe (pictured below with Kawakubo), who also acts as the CEO of the brand. Comme des Garçons boasts average annual sales of approximately US$280 million, which is a clear sign that businesses can truly succeed even when they march to the beat of their own drum. Like most origin stories of the most revered brands in fashion, Comme des Garçons grew out of necessity—at least in the eyes of its imperious founding mother. Having no formal fashion training but possessing a university degree from Keio University where she studied fine arts and literature or “the history of aesthetics”, Rei Kawakubo decided to create her own clothes when she couldn’t find the right garments to use for advertising campaign shoots for a textile production company that she used to work for back in the early 1960s. After the persuasion and support of her coworkers, Kawakubo made the momentous decision to embark a career in fashion; strengthening her skills as a stylist before making the leap to designing clothes. She officially founded her label in 1969 and was formally established as a company in 1973. Kawabubo herself was the one who chose the name of her brand—which is itself inspired by a lyric taken from a famous song by French singer-songwriter, Françoise Hardy—as well as designing the minimalist logo for her business. 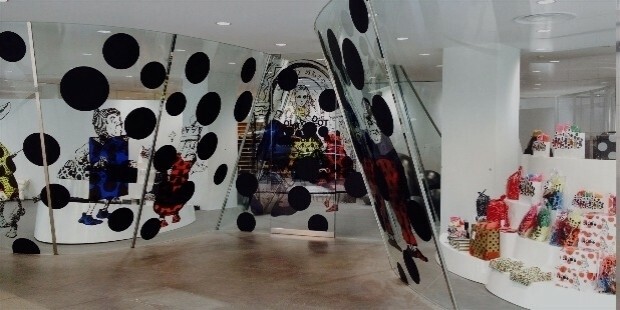 Kawakubo’s first CDG store opened in the Aoyama district of Tokyo (pictured above), and quickly began to receive massive attention from the stylish denizens of Japan who were enthralled by her unique and fashion-forward designs. Initially providing womenswear during the brand’s inception, CDG expanded to include menswear in 1978 due to popular demand. The label ballooned to approximately one-hundred-and-fifty stores and outlets by 1980 and reported annual returns of US$30 million. It was at this point that Kawakubo decided to go west in 1981 and continue the success of CDG by debuting the label at Paris Fashion Week. 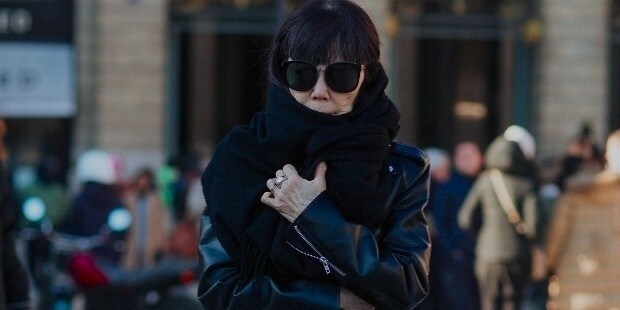 The arrival of Kawakubo and Comme des Garçons in Paris coincided with the entry of other well-known Japanese fashion designers—Yohji Yamamoto and Issey Miyake among them—that sought to shake up the Parisian fashion scene where, at the time, most European designers embodied an over-the-top sense of glamour that dominated the look back in the early 1980s. It became immediately clear that CDG was distinctively different from everyone else and strived to break all the known rules of fashion design. 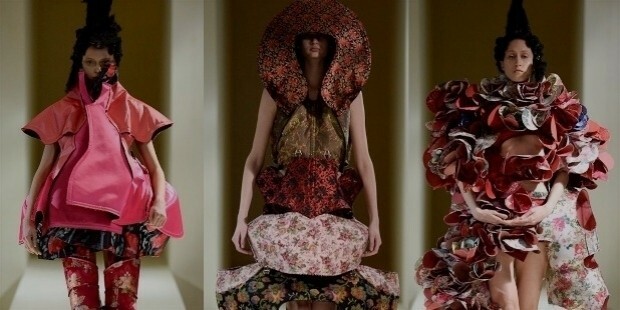 Kawakubo intentionally created clothes that were the complete opposite of what her European peers were doing. The garments of Comme des Garçons employed oversized silhouettes, used inexpensive fabrics that were deliberately made to look ragged and distressed, and predominantly rendered in black. Such was the impact of these pieces when Kawakubo sent them off on the runway that it stirred up major controversy within the conservative fashion press, who didn’t know what to make of CDG at the time. As the years passed, Comme des Garçons quickly became known to industry insiders as the independent and rebellious house that champions anti-fashion, and gradually built a strong cult following from brave fashionistas outside of Japanese borders. Despite the initial harsh reception from fashion critics, CDG was able to prove its mettle and managed to continue its winning streak by opening more stores not just in Paris, but also in other key fashion-oriented cities such as New York, London, Beijing, and Seoul. 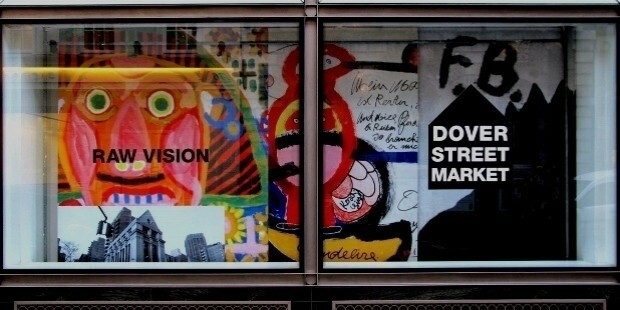 The strength of Comme des Garçons lies in its ability to translate the most abstract and inaccessible runway concepts designed by Kawakubo into perfectly wearable and commercial items that are exhibited by the brand’s multiple offshoot diffusion lines. 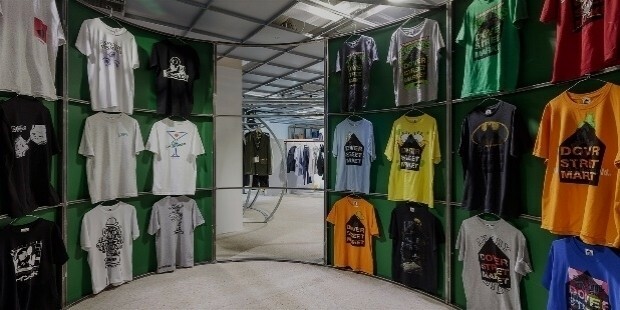 Outside of the flagship shops, CDG also operates through temporary “guerilla stores” as well as a dedicated department store called Dover Street Market (pictured below), where CDG products are being sold alongside other popular fashion brands. Despite the various spin-offs of CDG, the brand has managed to build an international retail empire without having to rely primarily on advertising, which is a common practice among other fashion houses. 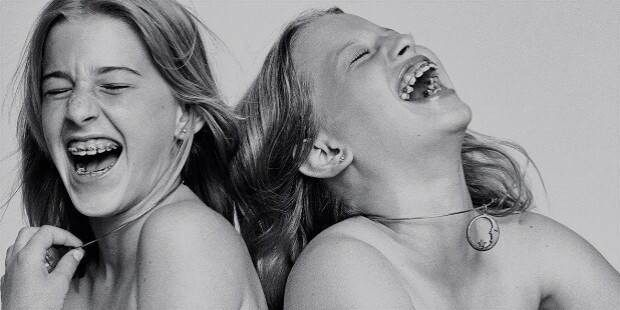 And even if the brand does deign to release an ad campaign, they usually resort to unconventional means of presenting themselves, such as their iconic image of two young girls with braces laughing (pictured above) and nary a stitch of CDG clothing to be seen in the photo, which was used for their Autumn/Winter 1988 campaign. Over the years, Comme des Garçons has amassed a significantly dedicated international cult following that even major celebrities from the fields of music, art, fashion, and cinema have taken to wearing CDG in public appearances. Just some of the famous creative stars who have worshipped at the altar of Kawakubo and her irreverent fashion empire include Icelandic singer-songwriter Björk, American musician Lady GaGa, Barbadian style icon Rihanna (pictured above wearing Comme des Garçons at the 2017 Met Gala), Canadian rapper Drake, British actress Tilda Swinton, and the late English fashion designer Alexander McQueen. Because of Kawakubo’s singular status within the industry as a “fashion designer’s fashion designer”, she has used her clout to utilize CDG as a breeding ground to nurture and mentor the next generation of creative talents to carry on her avant-garde legacy. 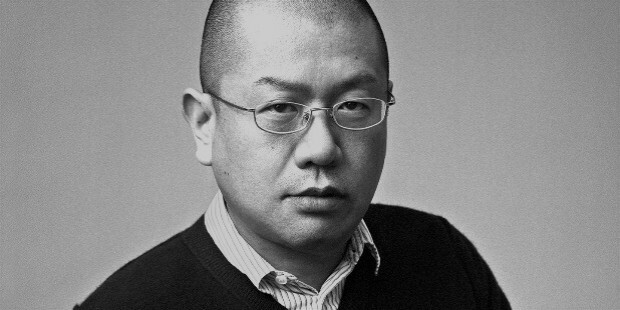 Junya Watanabe: This Japanese designer is an alum of the Bunka Fashion College in Tokyo and worked at Comme des Garçons as a patternmaker before forging his own path as an independent designer while still associated with the CDG label. Chitose Abe: Like most of the alumni of CDG, this Japanese designer began her journey in fashion as one of Kawakubo’s pattern cutters. 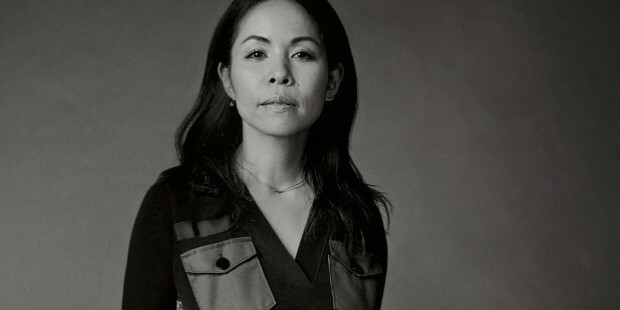 She is the founder of fashion label, Sacai, and is married to fellow fashion designer and CDG alum, Junichi Abe. 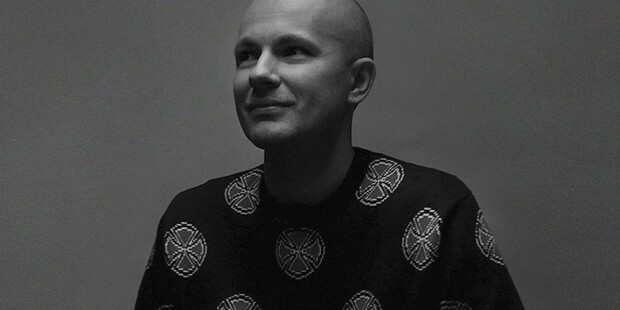 Gosha Rubchinskiy: After being discovered by Kawakubo, this emerging Russian designer has exploded into the menswear street style scene and managed to get into Kawakubo’s good graces by having a dedicated space in Dover Street Market showcasing his designs. Several fashion critics, journalists, and historians have cited Comme des Garçons as an influential label in terms of multiple enduring fashion trends that have popped up many times on the streets and on the runways. 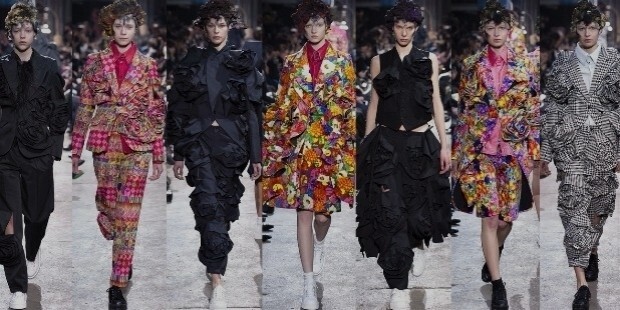 Various style elements that have repeatedly made seasonal appearances over the years such as exaggerated silhouettes, distressed aesthetics, incongruous proportions, unconventional fabrics, and innovative uses of color schemes are all hallmarks largely attributed to the work Kawakubo has done for CDG. Most recently, the fashion house that Kawakubo built was honored by the Metropolitan Museum of Art as the subject of their highly-publicized 2017 Costume Institute exhibition. 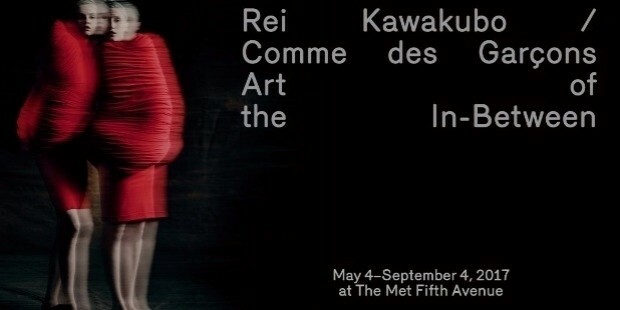 Entitled Rei Kawakubo/Comme des Garçons: The Art of the In-Between, the show examines Kawakubo’s incredible oeuvre where her clothes for CDG inhabit the transitional territories of recurring themes present in her work. The CDG exhibit at the Met Museum is scheduled to run from May to September 2017, and was made possible with the sponsorship assistance of American magazine publishing house, Condé Nast. 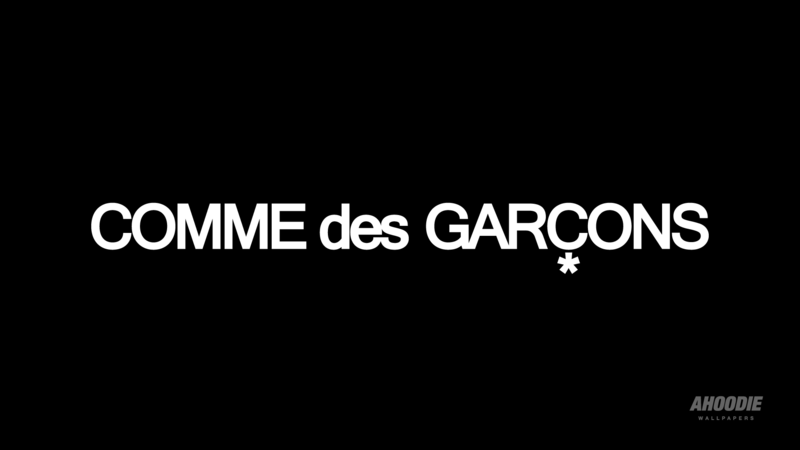 Watch this video featuring in-depth gallery views of the Comme des Garçons exhibition at the Met Museum and narrated by the Costume Institute’s chief curator, Andrew Bolton.